From fine wines to specialty items its “shop til’ you drop” in Duncanville. Duncanville has become one of the most exciting places to shop. One of the newest sensations driving through Duncanville are beer and wine stores. Several of the stores throughout town boast more than 200 kinds of wine and 150 brands of beer. 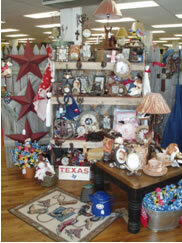 In addition to the new businesses, Duncanville is home to a number of small businesses, ideal for that perfect gift. Friendly business owners offer flowers, books, furniture, jewelry, art, clothing, gourmet treats and much more. C & J’s Boutique, Elizabeth’s Consignment, Knick Knacks, Every Season and Ben Franklin’s which stocks home decor and tons of knick-knacks. Duncanville’s booming retail has something for everybody.